Pfizer Inc the United States based pharmaceutical giant said its profit in the first quarter shrank by 15% due to weaker revenue in both of its largest businesses. The U.S. drug maker did not comment when it released its earnings about its attempt to acquire AstraZeneca, except to mention because of UK Takeover Code rules the company is not allowed currently to update or confirm its bottom line earnings guidance per share for 2014. Pfizer did confirm adjusted earnings and adjusted revenue guidance of 2014 that had been previously reported. Pfizer is amongst a small group of the biggest pharmaceutical companies participating in a deal-making frenzy of late, as the firms seek to retool or bulk up their product portfolios. AstraZeneca rejected Pfizer’s increased bid of $106 billion last Friday as being too low. 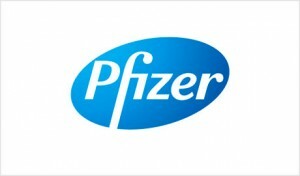 That has left Pfizer to decide if it should increase the offer again, go to the shareholders or walk away. Along with Pfizer’s offer, other complex deals worth billions of dollars and joint ventures are taking place between Eli Lilly, GlaxoSmithKline, and Novartis AG. Those deals were unveiled in late April. Zimmer holdings has agreed to pay an estimated $13.35 billion for Biomet, Inc a fellow maker of medical devices. Pfizer for the most recent quarter reported a $2.33 billion profit equal to 26 cents per share, which was down from the $2.75 billion equal to 38 cents per share of last year during the same reporting period. Excluding adjustment for purchase accounting and any other special items, Pfizer’s earnings were 57 cents per share compared to 51 cents per share last year during the first three months of the year. Revenue at the pharmaceutical behemoth was down by 8.5% to end the quarter at $11.35. Analysts had expected profit per share to be 55 cents while revenue was estimated at $12.08 billion. The global established business for Pfizer posted revenue that was 13% lower at $5.99 billion, while its innovative pharmaceutical segment around the world saw revenue drop 7% to end the quarter at $3.08 billion. Spending on research and development was down by 5.1%. Pfizer is banking on its experimental drug for breast cancer palbociclib and Prevnar its pneumonia vaccine to replace billions of dollars in sales lost as Lipitor its cholesterol drug started to face competition from generics.